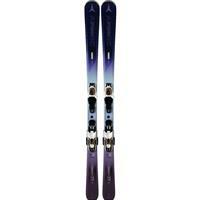 The Atomic Vantage X 77 CTi Womens ski is a great ski for the athletic intermediate to advanced skiing lady who wants a lightweight, stable and easy to steer ride on the frontside of the mountain. A Women's Specific V-Shape and added Heel Lift in the binding platform help the female anatomy use less energy and have more control over their skis. Atomic's Carbon Tank Mesh uses woven fibers of Carbon to add strength and power to the ski, while actually reducing the total weight. 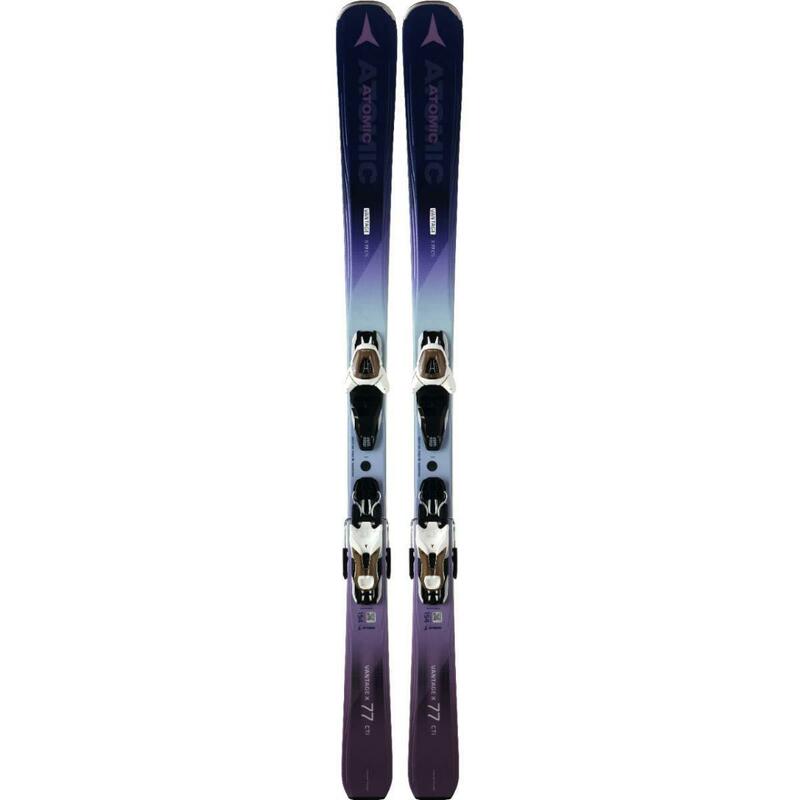 All-Mountain Rocker has a slight amount of rocker in the tip with camber underfoot for quick and easy entry into turns with added rebound. Atomic's Exo Profile has slanted sidewalls that help reduce even more weight and lower the swingweight for easier maneuvering. A Light Woodcore has a Titanium Powered Laminate that smooths out vibrations and adds more stability as you cruise the groomers at various speeds.